I've got a few items that just don't sell very well and aren't worth keeping an inventory. They are marked with redand are limited to whatever is in stock. At present timing chains and parts, fork boots, flat air filters and exhaust nuts are on sale below! I've got common maintenance parts at the top and other upgrade things and handlebars, grips, etc. towards bottom, electrical stuff in the middle. Sort of of long and goofy but worth it! fit all 2valve boxers and K-bikes. Fits all 2valve boxers before 1985.
pain and swingarm bearing puller will do that, after you cut out the rubber. rear main seal. Don't need the soaking in oil like in the past. part#1201 $27.00 Out of stock, not sure if I'll restock or not? Once again stocking noris points! keep one around just in case but don't replace them every time I replace points like some do. NOTE, Be very careful torquing the oil pan bolts! 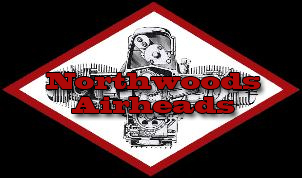 They are probably the most easily stripped bolts on your airhead. Use a quality known correct torque wrench that goes down to the 80 in. lbs reccommended. tiny metal flakes in you sump. O ring for the oil pump cover. If you are replacing a rear main seal, replace this! It could be what was leaking as well!. BMW no longer has the screws for the old oil pump cover. These are grade 10.9 socket headed screws that work great as a replacement. Guide ring o ring Sometime around 1981 the crankshaft flywheel connection was changed and included a guide ring assembly. Inside this guideringis a oring, it usually needs to be replaced and plenty of folks don't know about it until they are in there. ones, no lock washer and use blue loctite. To 26 foot pounds of torque. aren't stretched etc. Seldom are! support suppliers. This is their house filter. Great filter and a great bargain. Oil pan drain crush washers. BMW cloth covered fuel line. sold out,not sure I will replace! Airfilter for Airheads using flat filter. Made by OEM manufactor Mahle. Single row timing chain for airheads from 1981 onwards and for the r45 and r65.Includes master link. Iwis brand chain. Double row timing chair for /5-/6-/7 airheads to Sept 1978. Includes master link. This is the same Iwis chain that you'dbuy from a dealer. Single row guide rail #1553 $25.00 out! Double row tensioner #1557 $59.95 out! Double row spring #1556 $ 4.50 out! ALL PARTS 30% off until gone. Part # 1910 $9.00 need one temp out!! camshaft seal on later bikes. Front timing chain cover gasket. Front chain cover small gasket. Large finned Exhaust nuts for your /5. Smaller finned Exhaust nuts for /6, /7 and other 800, 900, 1000cc bikes. Not for r65. temp out of smaller bolt! temp out of all flywheel bolts! The next grouping of tools have to do with the electrical system, both charging and ignition. We're fortunate that NGK has stepped in and are making plugs for our airheads, after Bosch crapped out!! caps. For $20 -$30 less than BMW gets. Beru has ceased making the 5 k ohm caps so they will be coming with the black NGK caps. 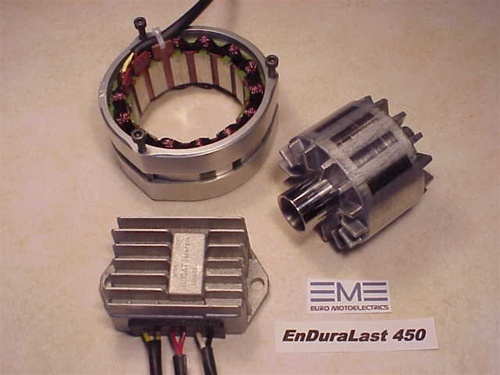 Link to article on alternator brushes and replacement. 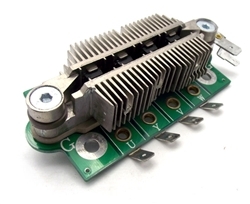 Heat sink paste single application. or cheapest option, easy to install. Valeo starter 8 tooth for /5's Replace the heavy,underpowered Bosch starter. issues are a thing of the past. Your advance springs can become worn, heat damaged etc. Easy to replace. Part # 1811 For most airheads from 1969-1978 except as noted below. guarantee superior grounding! For your r90s or r100. Slash 5 and 6 except for the 90s and 78-87 r65 and 80 already have solid mounts! $20.00 for a set of four. E-Z pull throttle springs for your bing carbs. Approx. 30% lighter pull makes a nice change for your wrist. Good time to clean up, grease and adjust your throttle also. # Have two pairs, sale price is $30 for a pair. era dual shock bikes, including r65. New rubbers for your shift lever! Part # 1726 5 speed $4.00 temp out! Siebenrock Reproduction seats by special order.Siebenrock has a number of seats, cover and pans available. Great source if you want a solo seat on your g/s or gs. Or want to start over on your slash 5. email for prices.